Harold's in for a ton of pain. I'M GLAD I GOT MY IDENTITY BACK. WAIT! 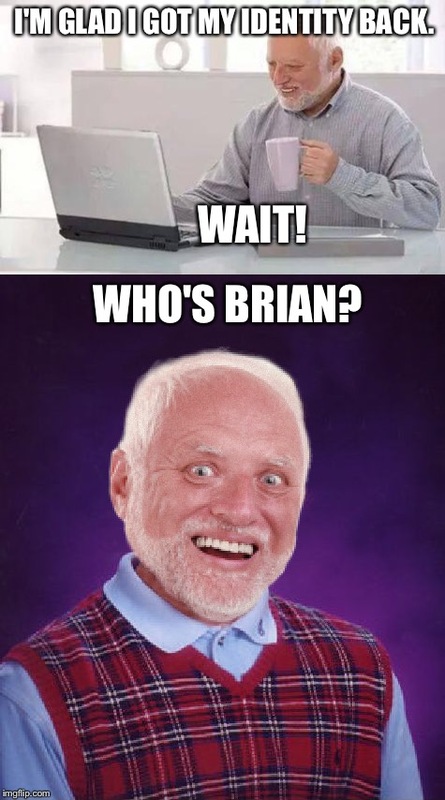 WHO'S BRIAN?